A secure spring-loaded cradle with silicone-padded grips ensures your phone stays secure throughout your drive. An extendable arm providing an extra 2.4 inch reach with a 260° arc and a highly-flexible ball joint allow you to easily adjust your phone to the perfect angle. The suction clamp base implements a 2-step locking mechanism for a stronger grip. 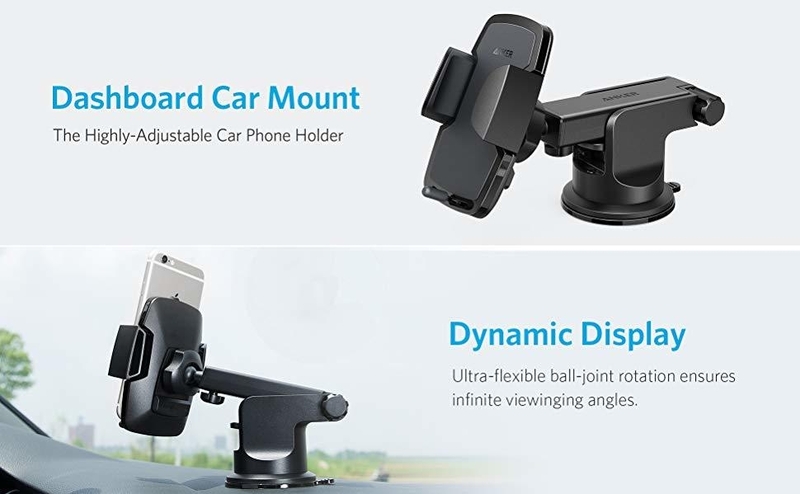 Mount your phone on your dashboard or windshield, confident it is secure. Mounting is easily managed in less than half a minute. 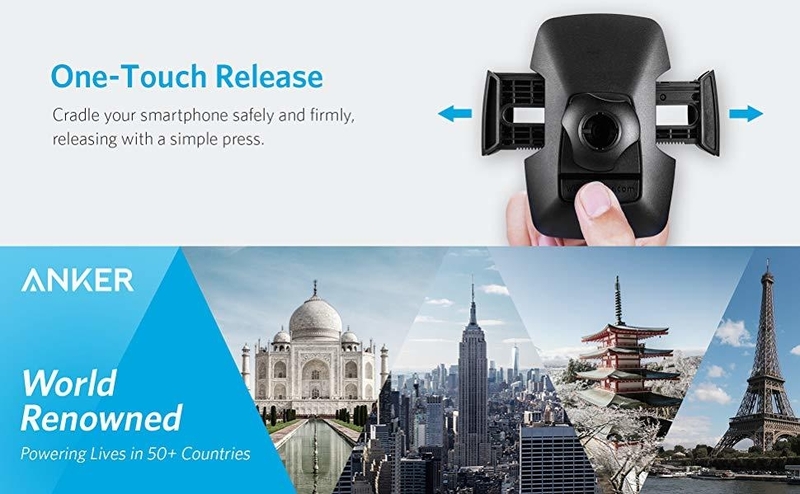 Set up the mount, insert your phone, and drive away. Suction strength varies depending on dashboard design (grip may be weaker on uneven surfaces or genuine leather).